The WICKED CORE workout will be unlike any you have done before. The workout is based on the Lagree Fitness Method which incorporates strength, resistance & cardio training not only in every workout but in every exercise taught. It’s a high intensity low impact 45 minute session that will leave your muscles leaner, longer and stronger, creating noticeable tone and definition in the body. You can expect a full–body session that uses controlled movements on a MEGAFORMER™ M3S to work your slow and fast-twitch muscles to the point of failure. 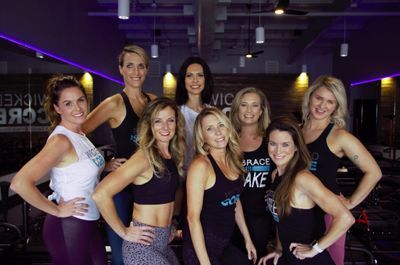 Lagree Fitness is the only workout that EFFECTIVELY combines Strength, Endurance, Cardio, Balance, Core and Flexibility training not only in one session but in each and every move. By incorporating the key principles of core stability and blending them with fusion of muscle dynamics, Sebastien Lagree has created the next evolution in physical fitness. The Method, simply put, is the most innovative and aggressive approach to full body conditioning. Moving effectively out of the borders of conditioned stimulus, Lagree Fitness integrates the key elements of resistance and counter-resistance in a sequence that allows for periods of zero-gravity at peak muscle contraction. The composition of this method is significant in that it encourages maximum exertion, while allowing for a low risk of injury. The sequence promotes flexibility and elasticity.